Karadantu: Karadantu is a sweet delicacy unique to the state of Karnataka, India. Karadantu means fried-edible gum in the local language, Kannada. It is made of edible gum mixed with dry fruits and has a chewy texture. The other ingredients used in its preparation are fried bengal gram flour, jaggery and seeds of marking-nut (Semecarpus anacardium) tree. Gokak town in Belgaum district and Amingarh of Hunagunda Taluk in Bagalkot district of Karnataka is famous for the karadantu produced in its sweet shops. Gently fry coconut on warm pan taking care not to burn the coconut. Mix chopped dry dates, chopped almonds, chopped cashews, raisins, fried oconut, popp seeds and nutmeg, in a bowl. Melt the ghee in a frying pan, on low heat. Fry edible gum in ghee till it puffs up like popcorn. Mix the fried gum and dry fruits mixture together. Mix grated jaggery with water and bring it to boil. Mix well and continue to boil until the syrup has reached 1 string consistency. Pour this jaggery syrup over the gum mixture. 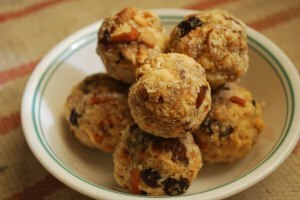 Rub your palm with ghee and start making the laddus to make karadantu. Note: These laddus may not come together initially, but squeeze them together and it makes nice round laddus. Karadantu are ready to be served. Note: Karadantu is a high calorie food. Eat in moderation. If you have any queries regarding the Karadantu recipe, please leave a comment. I have tried this recipe and it is so delicious. 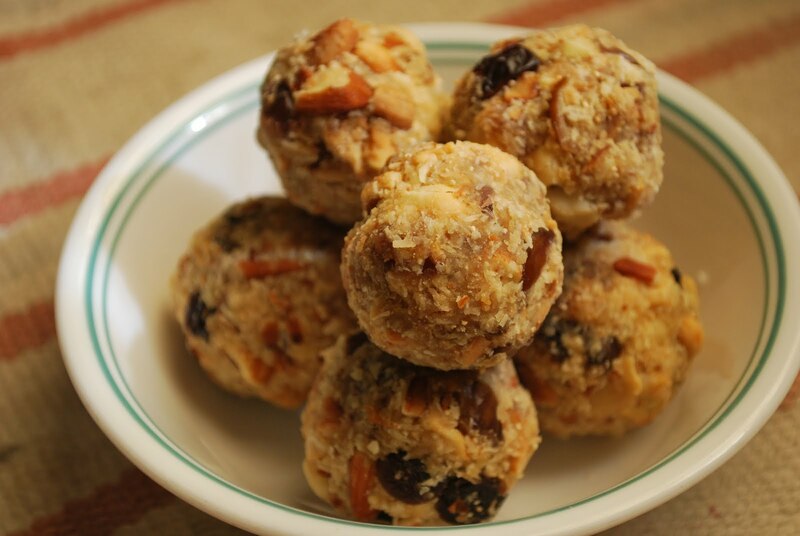 We call them ENERGY BALLS. It is also gluten free.